Judge Randall Rogers from Smith County, Texas issued a strange punishment last year to someone who got caught up in a fight. 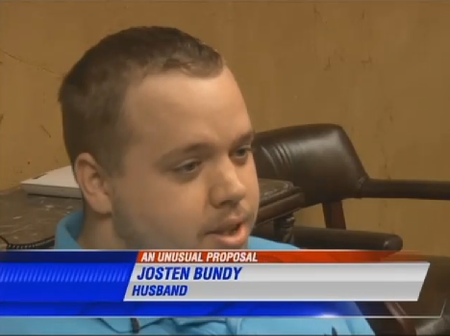 [Judge Rogers] sentenced Josten Bundy to get married to his 19-year-old girlfriend as part of his probation, which also included writing Bible verses and getting counseling. If Bundy declined to do the probation, he would be sentenced to 15 days in jail. Obviously, the judge shouldn’t have forced the two to get married. But let’s talk about the (other?) penalty… Bundy was tasked with copying Proverbs 26:27 — “If a man digs a pit, he will fall into it” — 25 times a day. What was that supposed to accomplish? What if his writing was illegible? Did it count? What if Bundy wasn’t a Christian? Would he have received the same punishment? Did anyone point out that Proverbs 26 also includes this line: “Do not answer a fool according to his folly, or you yourself will be just like him”? Seems appropriate. Americans United for Separation of Church and State sent a letter to the judge urging him to drop both aspects of his sentence. The Freedom From Religion Foundation also filed a complaint with the Texas State Commission on Judicial Conduct. “After a thorough review and investigation of the issues you raised in your complaint, the commission voted to issue the judge a private sanction,” Seana Willing, executive director of the commission, said in the letter. FFRF and the public are not privy to the details of the sanction. It was a ridiculous punishment that crossed all sorts of lines, even in Texas. Let’s hope the sanctions prevent him from issuing the same penalty to anyone else in the future. March 15, 2016 Ken Ham Disparages Schools Showing Cosmos in Class for "Imposing Atheism on Students"